The success of a business goes back to the kind of culture it has and the employee experience it provides. After all, if the people are motivated to do their work, then it brings out the best of the entire organization. 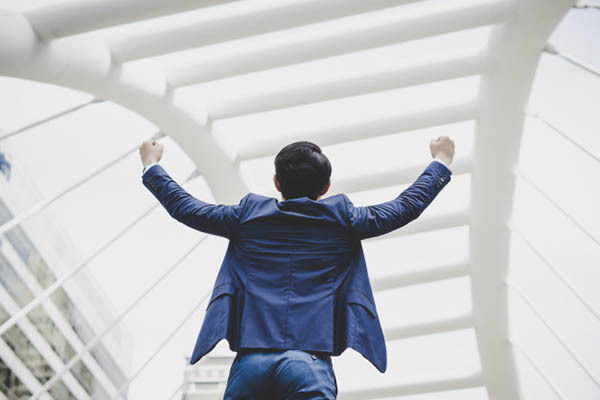 Robert Glazer, top expert on culture and employee experience as well as founder and CEO of Acceleration Partners, lets us in on how he does culture that makes his company achieve a number of wins and recognition. Robert talks about the unique things they do in the company, highlighting how you need to break the rules sometimes. 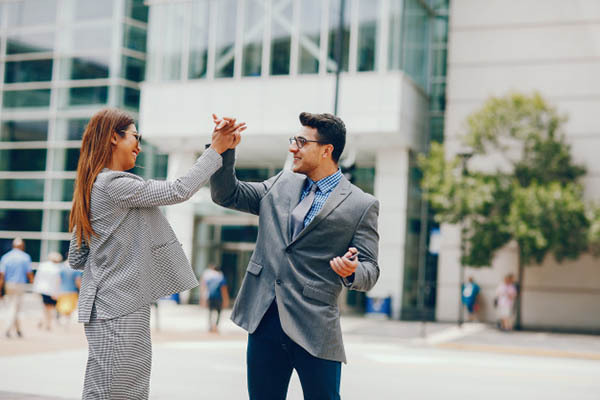 He also brings up the importance of letting your employees grow holistically by supporting them and making them feel purpose in what they are doing. We have the top expert on culture employee experience, Robert Glazer, the Founder, and CEO of Acceleration Partners. His company has won almost every award when it comes to workplace culture, from Ad Age’s Best Place to Work to Entrepreneur’s Top Company Culture to Inc. Magazine’s Best Place to Work to Fortune’s Best Workplace. You name it, Robert’s company has achieved it. He’s even named Glassdoor’s list of Top CEOs of Small and Medium Companies in the US, ranking number two. Robert is another MMT alumnus and I’m pumped to learn some secrets. Welcome to the show. I’m excited to talk because you are putting a ton of content out there, learning about what your company’s doing. I want to know a little bit of the backstory. How did you get to where you are and become fascinated and obsessed with company culture? It happened a few years ago when we got to $1 million in revenue. I was doing everything. It had reached the capacity of what I could do. I was at this fork where I had to build the company or continue doing what I want to do. I had a few coming off particularly bad company cultural experiences. I saw a big company or a bigger company is inevitably having all this politics and process and stuff that I didn’t like or want to do. There’s a little fear there as well if I could do it. What happened is I made the commitment that if I was going to build a company, I was going to build a company that I wanted to work for every day and break every rule and culture which I didn’t even believe in initially. What I thought of culture was what I saw written on the walls of all these companies that didn’t act that way. I had some real revelations as what real culture looked like. I said, “This is what I want. I want to define what I want to do and I want to recruit like-minded people. I want to see what we do and do what we say and be authentic and transparent.” One of the things that I talk about a lot is there are some things that we think are absolutes around good culture like treating people nicely, paying people well, some aspects of benefits. Great cultures could be really different and one person in one company could hate another company. It’s about those companies being authentic and consistent and saying who they are and then recruiting people that want to go on that journey with them. Hire people that believe what you believe. When you get everyone believing the same thing, you move in the same direction. As soon as anyone says to break the rules to the guy in the yellow tux that’s trying to break the rules of baseball, I light up. Create a place that you want to be. I want to get into some of these practical things. What does that look for you? What have you created that’s either breaking the rules or a place that you want to work at? The first thing is we don’t have any offices. We’re probably one of the largest distributed or remote companies in the US, particularly who’s winning those culture awards. We’ve done that a little bit a different way. We pursue a hybrid model. We hire people around geographies or hubs or cities. Our people may want to work from home on a day-to-day basis but they want to get together, they want to interact. We find that it’s important to interview people and hiring people everywhere was too hard. This allows us to get our company together, go to meetings. That was one of the things that were distributed work and letting people have flexibility and autonomy. The second was we started something around pay for day one, promote when ready. A lot of companies make a huge mistake of bringing in someone who’s got a lot of experience, putting them in a role and hoping that they’ll grow up into that role. You find out a lot of times they’re not ready or they need more time, or the person that you already have is making 30% less than that person you brought in who’s got all this extra capacity and it gets awkward. We look for people that would bet on themselves. We said, “We’ll promote you as soon as you’re ready, but you get paid for the job you can do at day one. All of that extra stuff that you have should come into play but if you’re doing the same job, we’ve got to pay you the same amount.” That was the second one. You pay for day one. Does that mean everyone that starts with you starts at the same pay? Everyone who starts at the same role starts at the same pay. Let me give you an example. Let’s say we have a different level of account managers. Let’s say that we have a junior account manager and they’re paid $10,000 a year. A senior accountant manager is paid $12,000 a year. A lot of times we would bring in a senior account manager from another company who wasn’t up to speed on our business. We bring them in at that $12,000, but they had to start at that account manager role because even though they were the seniors, they had to learn our system and our way. Some of them are great and they’d step up into that role. Others we find out after six months even though they were senior account manager somewhere else, they were just account manager here and they weren’t ready for the next step. We literally would have them at a higher level than an account manager that we had and we didn’t like that imbalance. We wouldn’t want to say to someone, “This person’s not even better than you and they’re being paid more than you.” We tend to bring in people a rung down from where they are externally so they can get used to our environment. If they’re a rock star and in a couple of weeks they can manage ten people and do all that, then we push them right up. It is like anything in life, it is better to push people up. Almost every situation where the person has come into high, it’s hard to unravel that. Basically, every role has a pay but then you get promoted into higher roles that have higher pay. It has a band. A lot of times you think about a company, they bring in Bill. Bill is a super senior guy that has all this managerial experience. They bring him in because he has all this stuff and then he doesn’t use it or it’s not in play. Bill ends up doing the exact same job as Mary except he’s paid 40% more, then you have yourself in this rut. Our belief is if you have all these extra skills and capacity and talent, then that should shine through and then eventually you’ll leverage that to move ahead. We don’t want different people being paid different amounts who are doing the same job. Employee Experience: Bring in someone who can grow up into a role and would bet on themselves. Does everyone on your staff know what their salary is? We are an open book on everything. Our salaries are not an open book. There are some complexities that come along with that, but we have prescribed bands and we have ranges and we have different ways that people can move up. What I always say to people is if someone exposed all of our salaries, nothing would surprise anyone. We’re open book down a P&L level, but I know some companies do salaries. There’s a little more complexity and some other privacy issues that go along with that. Some other ways you’re breaking the rules. Granting the wishes to employees instead of year-end bonuses, tell me about that and how that started. What’s happened because of it? I had heard about this program from some great entrepreneurs. A guy named John Ratliff had started it as a Dream On program. He had run these call centers and had a dream box and granting wishes to lower the turnover rate from about 50% to 10%. He was able to buy a bunch of call centers and sell the business for a ton of money because he was able to get a culture and a call center business that no one could. We tried to adapt that to our business. 2017 was our tenth anniversary. We always tie our AP Annual Summit, even though we’re remote, we fly everyone from around the entire world together for three to four days once a year. We did some exercises around goal setting, which was tied to the theme around what people wanted to get done that year and what they wanted in life. We did a whole session around that. I had asked people to submit to me they’re top five goals for that session. What I didn’t tell them was that I was going to use that data for our 10th anniversary. Pick ten of those things and try to grant them. I had done some research and worked in the background for a few weeks. It was pretty stressful. Some of them weren’t figured out heading up into that night. After our award ceremony that night, we had one more thing and did that. The reaction was amazing both from the people that received them and other people. I decided to repeat it again the next year, but we had a totally different theme for our retreat which was about relationships. I got some similar information for people on relationships that they wanted to grow or fix or repair and was and was able to do it again in the context of relationships. It was even a little more emotional that night. It was a powerful night in terms of the impact that could have versus giving someone $500 or $1,000, which is finding out something that’s important to them. Helping them make that happen and having the company do that, it’s part of our goal to have a culture that’s based on intrinsic motivation and growing our team holistically. Our belief and my belief is that if we can help our people get better in all aspects of their lives and then we’ll get the business benefit of that. They’ll get, their families will get, and their kids will get the impact of that out outside of work. People are the same. If you’re stressed and exhausted and whatever at home, then you’re going to be those things at work. We do a lot of training about our business, but a lot of our training is on improving your health, your discipline, your emotional resistance and all of these things that we think are holistic to being a higher achieving person. The same thing here with Fans First when we surprised our Fans First Director with her bucket list trip to Ireland and she’s taking her dad. The emotions came from that because you’re creating some amazing memories. It’s not cheap, but it’s something they’ll never forget. It’s not just creating this wish. A lot of times it’s a wish with somebody. Can you share a few of the things that you were able to give to your people and the impact that it made? On the goal setting and top things they want to achieve for life, it went to a range. One person wanted to teach a class at business school and I was able to arrange that for her. A lot of these don’t cost anything. We were able to use some points and stuff on travel. Someone else talked about wanting to go to Copenhagen with his wife and he had started working with us a month before. It’s an interesting thing about why that was personal to him. We had someone whose dream was to fly, so we got him some pilot lessons. When we got into the relationship stuff, it was a little deeper. Someone had talked about her daughter only meeting her 90-year-old grandmother in Greece one time. She felt bad that while her health was still good, she wanted them to have a relationship. We sent her and her daughter to Greece. Some other people have some long-lost friends. One person even had a brother that they found out that they didn’t know they had. We hired a private investigator to help her find her brother. It seems simple when you think about it as a CEO, as a President, as an owner of a company. It’s creating these moments because they matter so much to the people. It’s not just the day at work and you understood that. There’s so much that goes into the business that you have to make sure that they’re successful and the reason you’re winning Best Place to Work. What are some other unique things that you’re breaking the rules with that are making your people feel amazing? One of our other programs, which may seem weird, is called Mindful Transition that we launched. I had too many conversations with people who had great cultures that were frustrated with the whole two-week notice paradigm. Where they either got two weeks’ notice from someone or decided that they had reached their wit’s end with someone and reached two weeks’ notice. A few years ago, we did this experiment with someone who was struggling and we realized he needed to do something else. We called him Patient X. We let him continue to work with us while he looked for a job. We’re in client service so turnover is disruptive. We knew he needed to do something else. We said, “We’re not going to do this performance improvement plan thing. It’s time for you to find a new job. We’ll help you do that. We’ll give you resources. You can interview, but you’ll continue to work over the next 90 days.” It worked well. It starts with this foundation of psychological safety and having people being willing to talk about any problem and understand that if they want to leave, we will not walk them to the door. We have this open transition program. We’ve done it with a fair amount of people at this point and we will help them find their next job if it’s not right here anymore and give them time to do that. We have a whole system we built around that. It’s taken out a lot of the surprise. It’s taken out a lot of the uncomfortableness and bad endings that ruined the great work that people do. It’s allowed us to have an awesome and productive alumni group out there who says, “My time ran out there or it wasn’t the right thing anymore. I had a great experience. They helped me. The CEO wrote me a reference.” It’s much better than lying and dodging and doctor’s appointments. People aren’t going to work somewhere forever anymore. That era is over, but we’re still running the playbook from that era in terms of how people leave the company. We don’t think it makes sense anymore. I’ve been speaking more on that. My third book is going to be on that. It’s something I’m passionate about helping other companies to implement because it’s long past due that we got rid of two weeks’ notice. We had our first turnover in a few years and we have a company of all Millennials and we had zero voluntary turnovers for a few years. We had four leave us and it hit us like a dagger. We weren’t ready for it. How would you train a leader if you were to simplify? What can they do to help prepare for that happening in the next steps and still growing? When you lose people, a lot of times it can hurt culture. I always use an analogy when I give this speech that says if your wife or partner or husband or whatever it is came to you and said, “I’m moving in a couple of weeks and I found a new partner. I’m living in a new place. I have a new family.” You’d be like, “How come we didn’t talk?” Because everyone is afraid to talk about these things because of the repercussions of being told to leave, they don’t. Even a great employee wants to do something different to run their course. They start having doctor’s appointments and lying and the end of that relationship leaves a bad taste in everyone’s mouth and it can obfuscate a lot of the great work. Employee Experience: It is when you leave fear that you can start to create. It took us a while but first, the company has to implement this top down. The people have to buy in and want to have those discussions. Once you go through some cycles and people hear about it and they understand. You might have someone come to you and they want to do a perfect example. They want to do something that you don’t have now, but you’re going to have in a few months so they started looking elsewhere. If they had that discussion with you and you can learn to not get upset about having that discussion not taking it personally, you can say, “I’m going to have this operations role in a few months. Can you hang out on this for a few more months and then we’ll transfer that into you?” Then they’re not looking for a job elsewhere. You can do an exit interview. You can talk to all those people and find out what they leave. You could have probably known all of that. They could have had that discussion with you. They could have told you what they want to do. You could have been more prepared. Everyone could have left on a better note. Even if they wanted to go back to school or do something different or switched careers, you could have supported that rather than not knowing about it. Everyone has made this assumption that ignorance is bliss or that the devil you know is worse than the devil you don’t know. I don’t think that’s the case. We can handle anything similar to a relationship consultant would tell you if people are willing to have an honest discussion and can do that safely. I’m sitting here thinking, “If I go to our people, ‘When do you want to leave?’ it’s almost like being vulnerable and like, ‘You should think about leaving.’” It’s not that. It’s caring more for people than caring for them as employees. You care more for them as the person they are not for what they can do for your business. There are some psychological things that go on, some theories and cognitive dissonance, which is when someone goes to leave, you have a hard time separating the person and the fact they’re leaving. Your brain starts to make them into a bad person. They’ve come to you and they said, “I want to do something different.” You said, “That’s great. Let’s work on a plan. How about we help you find your replacement?” It changes the conversation versus them feeling like they can’t tell you that. They’ve got to lie. They start looking around. We’re at the point where if someone is interviewing for a job and hasn’t told us about it, that’s a major violation of our cultural values. I will give anyone a reference for anyone that worked here or whatever. Thinking about the four people that left, they had fear of telling us because no one had left our company. It was like, “This is the Fans First company. We don’t do this. They had fear.” Business owners probably have the biggest fear of their people leaving. If you trump this fear, if you get rid of this fear in the beginning and talk about it, that’s probably the most practical advice you could give everyone. You eliminate the biggest fear which employers have of their people leaving and then the people have of not liking your job, not wanting and having to leave behind the scenes. You eliminate that and then you can go about your business. Imagine that great employee that you had forever that you invested in and whatever and then suddenly they’re not around. They have a doctor’s appointment. They tell you that they’re leaving and it’s two weeks’ notice. They think that’s a good amount of time because they’re convinced you’re going to tell them to leave anyway. You’re like, “Two weeks, you’re leaving me?” Those few years of great work is all left with this tainted ending versus like, “You want to do something different? We don’t have it. Use me as a reference. Tell me when you’re interviewing.” Probably for those few months that they were looking and not engaged and had the stress out of that, you could have gotten better work out of them. They would be happier. They wouldn’t feel they are deceiving anybody in that awkward conversation. One point on that, the employees deceive because that is what they have been trained to do. They believe that is what the system is modeled. Anyone who’s ever getting noticed that a company has been told, “Leave now or leave next week or whatever,” it totally validates that. When employees see that, they go, “I have to lie. That’s what we do. We don’t talk about this stuff.” That’s the behavior that they follow. I’m still a sucker for stories. Is there any other unique stories or things that you guys did from the hiring process, the onboarding? Do you do staff meetings differently? It’s different. You’re a remote company, which is fascinating that you’re winning these awards and you’re remote. Are there any other unique stories or things you’re doing a part of the process that entrepreneurs can take from you guys? We also started a thing of paying people who go on vacation and don’t check in at all. We reimburse them if they stay offline while they’re on vacation. There are a couple of reasons why we did that. One, it’s much better for them to step out. Two, we don’t want things that are designed around people. We want systems and processes. If that person has designed everything to go through them, then they’re not a good leader or teammate. It forces people to set up the right systems, processes, escalation paths. It creates better systems. We found that to be a great win-win. We have different reimbursement levels depending on level, but we’ll pay for part of your vacation if you take it and go refresh. If you also didn’t leave everything so it needed you while you were gone, then we’re better off as a business. I have a question on purpose. You are putting out unbelievable content every week. You’ve got a book coming out. The reality is you’re getting a lot of the praise. I realized this as I was speaking at an event. People are coming up and praising me. I’m getting to feel the purpose of what I’m doing yet our people aren’t feeling that. What are you doing to make your people feel purpose in what they’re doing? Employee Experience: Everyone has something that makes them stand out, and that is the best version of themselves. It’s connecting them to the mission. We also give them a lot of that opportunity. The CEO of a company tends to be in the media more or more visible, but we are constantly giving people chances to step up and lead out of their comfort zone, where they want to do that. I’m champion of anyone who says, “I want to go speak at that event. I want to do this.” You say, “How can we support you?” It’s part of our core value of excel and improve where we think that part of excellence is the improvement. We are constantly pushing people to do things and take responsibility and to step up. I would be thrilled if no one wanted to talk to me. They say, “We don’t want to talk to you. We want to talk to Jessica. She’s the one that we want to talk to.” The reality is a lot of that stuff flows through the leader, but we are growing lots of leaders. There’s nothing I enjoy more than watching them speak and write and start to build out their own thought leadership. Are there ways to do it? You’re remote. You have to be able to celebrate. How are you guys celebrating where it’s not, “You’re feeling all the credit.” Are there other things that you are doing? We have a weekly all-video conference call on Zoom. When we go through that, we celebrate core value wins. We celebrate company wins. We call out people. Everyone’s fairly engaged on that through video. We reinforce our core values everywhere. We have this end of the year awards. We also do this summit thing where we get together for a few days. It’s a pretty deep retreat style thing where we are doing a lot of stuff together, talking about the year, celebrating our wins, doing a lot of team building. People say that of all the companies they’ve been at, they find that they are more connected to their peers here because the virtual distributed nature forces us to not leave anything to chance. We script out two full weeks of onboarding when you start, which calls you’re going to be on, which training. A lot of times, I’ve been at jobs where they’re like, “Bob’s here today. Someone get him a computer and tell him to go listen to Ted.” That’s what onboarding is. It’s because of our distributed nature, it forces us to be a lot more intentional about things. We buddy people up, we have coaching groups and we have peer groups. There are a lot of interactions. That’s smart because the reality is you’re not around each other so you have to go all the way. 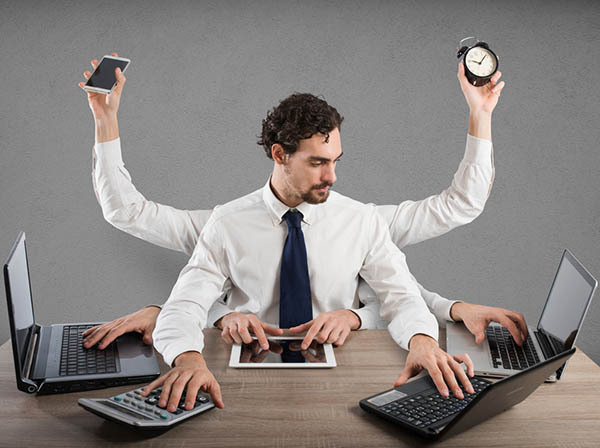 Every company should almost envision that they are not around each other and how can they get them connected even if they do work because you take it for granted. You’re around each other all day, but you’re not necessarily as connected because it’s not scripted out. It’s not planned. It’s not intentional. I will put our onboarding process up against companies that are ten times bigger than us. It is thought out. It leaves nothing to chance. We know that is harder, that you can’t learn by osmosis. It forces us to be intentional. That’s true for a lot of our systems, but the core of our people is in client service. I always say it’s a little like the Navy SEALs. We’re this organization that has a mission and a philosophy and values, but then you’re out in battle with your six or eight people regularly. Those teams are on video calls with each other all day long. They’re traveling to clients. They’re going to conferences. They spend a lot of time with each other. In any company, 80% of your interaction tends to be with your direct team. Those teams also do have a whole layer of interaction with each other. The two-week onboarding, we’ve turned it into five immersive days. What are some that you mentioned? You scripted out, you do buddy people up. Are there some unique parts of your onboarding? It’s a combination of learning and doing. We built a learning management system out. Anything we’ve ever done, we’ve recorded. There are modules you can take. A lot of it you can take online and a quiz and pass. That’s also allowed more flexibility, which is great because we had the same person doing the same training over and over again and we’ve turned a lot of that into online training. I had someone on my team who started and he’s doing a combination of real calls, online training and going to meetings. Over the first couple of weeks, he’s getting a full cycle sample of anything. We went to a conference on his first day at work that was around that. We try to bring people to something quickly too. We’re client service. Part of that is our teams are out meeting with clients at the client. No one wants to fly, even if we had a monolithic office somewhere, our clients are all over the country and even the world as we’ve expanded. They’re not going to come to fly to meet with us. We’d rather fly to meet with them. That’s true for most consulting or professional services organizations. Are there any other unique stories that could resonate with some of the people that you share? When you win these awards, it’s not the details. It’s probably some stories that make an impact. It’s a lot of the little things that we do. One of the other things we’re doing is building a leadership program. For a company our size, the rate we’re investing in leadership development and building leaders is key. We have a book club with our leadership team where we read one book a quarter and we go through it. It ties back to our values of learning, getting better, growing together. We probably have a ton of other nuanced little things that we do. Our awards at the end of the year at the summit are the core value awards and they’re voted on by your peers. You literally win the own it, embrace relationship, excel and improve award. We’re reinforcing those things in terms of how we want people to behave and what we’re looking for in terms of our value set. I’ve been grilling you on your culture. We’re going to flip the script here. You are now the host of Business Done Differently, Robert. You can ask me anything. Do you wear the yellow banana outfit everywhere? I get a lot of yellow tux questions. I own seven of them. What literally started as part of the show at our stadiums, and I bought it from BrightColoredTuxedos.com in 2011, has become more of my calling card. I wear it everywhere I go. Every speech that I make, I wear every day. My wife is still married to me, the fact that I still wear it all the time. You saw me in one rare occurrence down at MMT where I did not wear it. Next MMT, I will be wearing it. It is my thing. I believe everyone should stand out. Everyone has something that makes them stand out and it’s the best version of themselves. With the Bananas here and our team, with dancing players and breakdancing first base coaches and giving away portajohns at games and everything we do. It’s about being different. I rock it all the time. What’s your favorite cultural tradition for your organization? Employee Experience: When people leave, it is not about the business, it is about the employees. We started to pride ourselves on mapping the experience for our people. Our customers, we go all out and have the band meeting fans when they’re coming out. We call every fan and thank them. We send a funny email when they buy tickets. It’s why we’ve been fortunate to sell out every game. The reality is with our people, we do the same thing. We imagine what that perfect first day is. We had a guy start with us comes in. We’re playing The Best Day of Your Life. He walked in with silly string and we’re celebrating, we’re putting leis on him. We have his perfect breakfast with his favorite food items and celebrate. At the end of the day, we have a big toast and we put his picture on the wall and we gave him a gift. He’s a young man and his favorite drink was Jack Daniel’s. We gave him a bottle of Jack and we celebrated it. It’s all about mapping what does that look like. It’s become a tradition. What we do is we try to find out what are those special moments, those bucket list moments that we can surprise them with. The Ireland trip for our videographer, two tickets VIP meet and greet with KISS, one of his favorite bands on their last tour. We look for those moments because that’s what matters most. If they came from a poor culture and this is their first day at work, they’re never leaving you. When they do leave, we plan a huge celebration. Every single person on our staff writes a thank you letter or a letter to them with memory, how much they meant to them. We’ll read them out loud. We’ll give them a picture frame with all their best moments, their celebrations, their accomplishments. We produce a video because we video everything with us. We have everything on tape. Our VR produces a full video with all their highlights, best moments and we show that to them and have a celebration because we want them to never forget their last day with us as well. The alumni group, we haven’t started that. Tell me what that looks like for you. How do you facilitate that? When you have alumni, it’s someone who leaves. McKinsey has always been great at this. When you want to leave, they train you and they help you. They realize that people go on to hire McKinsey. We invite them to our events. We’ll catch up with them if we’re in cities. 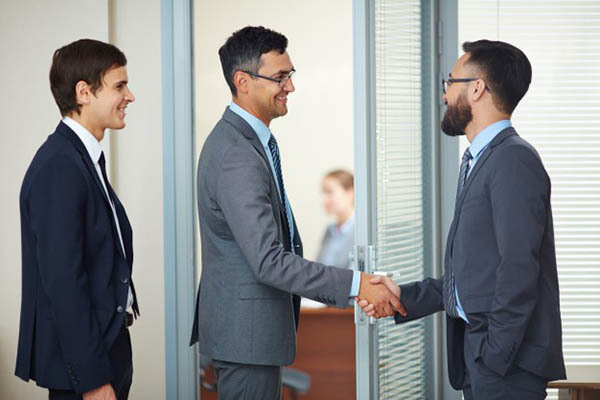 They are people that we will talk to and communicate to versus a lot of companies where the day you leave is the last time that company ever speaks to you. To me, the definition of alumni is someone who’s productive and engaged and sharing positive juju about your company and the marketplace. We’re starting at the interns because we have a group of ten interns. We have an intern Facebook group that we’re all interns with us. Even the full-time alumni, how do we bring them together? If companies have enough pride or I have too much pride where they can’t care about the group that leaves them, they’re leaving a lot of great opportunities to make an impact down the road. I want to go to rapid fire. Are you ready for this? Quickly explain some of these things. I noticed some of your work. What is the Whole Life Dashboard? It was a tool that I built that mimicked a lot of business tools to create personal alignment from thinking through your core values, your three, five, one, ten-year goals, your quarterly objectives. What you should do now. Mapping that all out so that it’s tied to a positive morning routine that every morning you could sit down and go over that and figure out what do I need to do now? It gets me where I need to go in the quarter, which is taking a look at my making those decisions, align my value, you get done what you need to get done that year. I believe in the concept of alignment. It’s one of the most powerful things. This is a small tool to spend every day recalibrating yourself to figure out what’s the most important thing I can do now based on looking at what I said was most important to me in my life this quarter, this year or in the next several years. Do you keep it in front of you every day? Employee Experience: People can do extraordinary things they don’t think are possible sooner than they can if they just pick the right things to focus on each and every day. I have a couple of different versions, but I usually open up as part of my morning routine, go through it. That’s how I picked the three things that need to get done that day because that goes through the need to get done that quarter and I go through what I want to get done that year. I look back on my core values and I say, “I was thinking about X, but I’m looking at this value again and it doesn’t feel aligned.” It’s this re-centering exercise as part of a morning routine. How does that lead to your theories and the domino effect? In my theory, you can get anything done. The domino effect would say that each domino can knock over a domino that’s 50% bigger than it. It would take something only 30 something dominoes to knock over the Empire State Building if they were all 50% bigger. People can get done extraordinary things that they don’t think possible sooner than they can if they pick the right things to focus on each day and each week. Make the down payments, move the energy in that direction. Finally, that domino falls at the end of the quarter or it falls at the end of the year. That’s what high achievers do. Other people sit there and they look at that mountain they have to climb and they stress about that mountain for weeks and months and they never climb the mountain. The other guy’s taking three steps every day. 90 days later, he’s three quarters the way up the mountain. The biggest example for me and this is something I learned myself is writing a book. I talked to many people who want to write a book. You talk about it. Write ten minutes a day. Start writing. If you stress thinking about how you’re going to write a book, if you get off Facebook for twenty minutes a day or Instagram in the morning and in twenty minutes you can usually get out about 400 or 500 words. You will have a book in two months. It will have to be edited, but you have a book in two months versus all this looking at people’s lunch and what they did overnight and stuff that you will never remember. The energy we use every day and difference between people that elevate and high achievers and people who don’t. It is not these massive things. It is this 1% difference in how they use their energy, time and discipline each day. You put out world class. It seems you’re trying to fulfill that but you took a great lesson from a young woman. She was interviewed by Tim Ferriss that you wrote a piece on. Ann Miura-Ko, the story was that she grew up the daughter of an immigrant and was a fierce debater and went to Yale. Her father always told her to do everything world class. She worked in the dean’s office and did admin work. He talked to her the day she was going in like, “Dad, I’m an admin in the dean’s office.” He’s like, “You should think about it.” When she went to get donuts, she picked the hot ones and she’d make good copies and she’d keep everything organized. She would do all this admin work the best that she could do. One day, when someone was out of the office, the dean who she’d never spoken to grabbed her and said, “I hear you do good work. My friend’s coming. Can you give him a tour?” She ended up giving him a great tour and he invited her to come to meet with him during the break. She didn’t know who he was and it was Lew Platt, the CEO of HP. That led to internships and all kinds of great things for her. Doing these small things well had a ripple effect and almost launched her career. It’s a great teachable moment. I think about our janitor, Reginald, who does all the trash at the ballpark for thousands of people every night. He goes about with a smile and he’ll go get every piece of trash. It’s like he’s on a mission. You look at him and it’s like he’s world class. He’s the janitor. He’s the trash guy at the games. If that’s going to be teachable, that’s challenging because not everyone has the dreams to be the best at what they do because it’s not where they want to be. If you can get people to embody that world class, you’ll have a world-class organization. Do you teach that at all to your people? There’s another Friday Forward one about a plumber who displayed that. One of my favorite quotes is, “How you do anything is how you do everything.” Back to that 1% rule, for most companies, it is not this lightning bolt thing that happened overnight that propelled them to success. It is repeatedly doing the right things, doing it better. We partner with a lot of companies over the years and many of them don’t do what they say they’re going to do and not show up and do less than they promised. That stuff adds up in the long run in terms of what organization you’re trying to build. What’s your favorite part of your morning routine? The favorite part of my morning routine is the morning routine. It’s getting up early before my kids, doing some writing, doing some thinking, planning out the day, picking what I need to get done. It is that I create a morning routine and get up earlier rather than jump up to the alarm. Everyone’s running around eating breakfast. I enjoy that quiet planning time before everyone’s awake. Every day you plan your day on those three things that you want to do. Is that what you’re saying? What’s your favorite way to unwind at the end of the day? I try to get outside, go for a run, go for a walk and meditate. A lot of times, I do run plus podcast combination. I, in theory, would like to exercise earlier in the morning, but I don’t feel I’m awake. I’ve started to do some late afternoon exercising and it’s a good way to unwind, but for me it’s air. I was reading an article by Dan Pink, what five minutes outside does to your whole psyche. This is a tough question for us entrepreneurs, especially if you’re reading a lot as well. Is there a book that you always come back to? There are two. 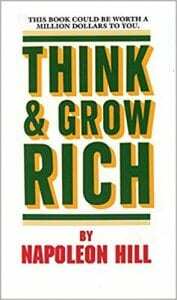 I like going back to Think And Grow Rich a lot because Napoleon Hill is classic books. There are some things in there that are timeless. There’s a new essential version that came out which highlights. I always get something out of that. 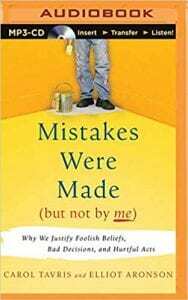 The book I reference a lot to people is a book called Mistakes Were Made (But Not By Me) and it’s basically on cognitive dissonance. Cognitive dissonance exists everywhere in our decision making, in our interactions. It’s a powerful force that causes us and other people to make poor decisions. If you understand it and you see it at work, it’s a huge benefit in terms of how you can handle a lot of these situations. That book was fascinating on it and it tends to be the one that I suggest to a lot of people that they haven’t read or isn’t in their regular circle. How would you simplify cognitive dissonance? Cognitive dissonance is when your brain is trying to reconcile to things. When you’re trying to reconcile that Julie was a great employee but is leaving me. Your brain can’t reconcile the difference. It has to either be like, “Julie must be a bad person. That’s why she’s leaving.” We tend to repeat a lot of mistakes because we don’t want to believe that we would have made them. The best example is the people that follow these end-of-the-world-predictions by these prophets. When the date is missed, most of the people they go, “We messed it up and here’s the new date,” rather than the people being like, “This person’s a scam artist.” They double down and believe twice as much in the new date because their brain doesn’t want to admit, “I followed this charlatan or I got scammed.” It forces them to commit even more and hold on to that rather than being able to rationalize that they might’ve made a mistake in the first place. What’s one magic moment that you remember? It can be from a personal or business world, one that stands out for you. I threw a bunch of circumstances they were all last minute. I ended up being at the Super Bowl LI in the corner with my son and his grandfather when the Patriots won the Super Bowl and right in our quarter of the field after that comeback. We were at the greatest Super Bowl game ever. We had written it off after the first half. We got a ticket last minute after I already had left. He had flown down on a plane by himself to meet me there and it had a complete Hollywood ending to it. I went again and then people want to go. I’m like, “I’m not sure I should mess with that memory at this point. I should leave that as it is. I grew up in Central Massachusetts and I remember when the Patriots won the first Super Bowl. I was a senior in high school, it was 2001 or 2002. It was an excused absence for everyone in our school to go to the parade. People don’t understand sports in New England. I remember all my friends went to the parade because we were allowed to skip school to go to the Patriot’s parade. They did that for the Red Sox one too. I remember that was the first one. There’s a kid who you’ve probably seen it’s a sign where he’s sixteen years old and all the championship parades he’s been to in his sixteen years. It was not like my childhood in Boston. It was torture, my childhood in Boston. What’s one thing that you’ve done in your life to stand out? I’ve taken risks and I didn’t do this earlier in my life. It was one of the things that held me back. I had entrepreneurial tendencies but didn’t have the risk profile. In our industry, we took some stands, put some thoughts out there that had not been shared anymore and said, “This is what we believe in. We think a lot of this stuff is broken. It created a lot of waves, but ultimately it differentiated ourselves.” When the market moved in our direction, there were people who pretended they had been there the whole time. There were people like us who had been saying the same thing for a while. Being willing to put our neck out and go the opposite of the market is something I’ve always been willing to do in my business career. What’s some advice that stands out for you? If you’re trying to be a leader, you need to figure out who you are and be authentically you. A lot of people on their leadership journey are creating the patchwork quilt of different things to emulate, particularly when they’re new on their leadership journey. Eventually, you realize the best leader you could be as we talked about at the beginning is you and say to people, “This is me. This is what I value. If you want to come on this trip, great, if you don’t, then not. I assume you don’t want to hire people that are way too serious and don’t want to dress up. There are other jobs for them that are great for you. For you to try that be something or act something that you’re not to attract people is short-sighted versus finding the people that love what you’re doing and why you’re doing it.” That’s been the biggest change for me in my own leadership experience. We put out a job application to get someone to work for us. We said, “Do not apply for this job,” and we gave all the reasons why they should not apply for the job. It was funny, it got a big response. Everyone who applies to us, they have to do a video cover letter because we have cameras everywhere. They have to do a Fans First essay on our core beliefs and then we ask for their future resume. We want to know what their plans are for the future because that fits into our core beliefs of growing hungry. We get few applicants because of it. All that does is cut the 1,000 to 10 so you can start talking to the ten. When they write their future resume, are they with your organization or are they not with your organization? I would say half are with and half are without, and that doesn’t bother me. That doesn’t affect you. It’s how big are they thinking. Are they thinking big with our organization? Are they thinking they’re going to stay in the same position for the next few years? If they’re thinking they want to run something all over the world, that’s great. We’re going to help you get there. That’s what I look for. Finally, how do you want to be remembered? I want to be remembered as someone who helped improve the lives of others. It’s that simple. That’s why I write all this stuff. I like to figure out something that works better like two weeks’ notice and then not keep it to myself. The thing that would fill my bucket the most if you called me and said, “I implemented this program and it worked out great and it made everyone happier in my company.” That’s what I love to see in terms of the impact of my ideas. I wrote a piece. The impact of one and one person saying that means the world. Robert, I can’t thank you enough for sharing so much. I’m going to do a prediction. In 2019, Elevate is going to be jumping on the New York Times bestselling list. You have created a huge following. The Friday Forward emails subscribe to that. How else can people learn what you’re doing? They can go to RobertGlazer.com. You can sign up for Friday Forward there, see the podcasts or see a bunch of the articles and content that I’ve written. Thank you for the impact. We appreciate having you on the show. 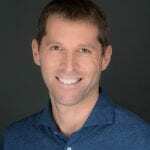 Robert Glazer is the founder and CEO of a global performance marketing agency, Acceleration Partners. He is also the co-founder and Chairman of BrandCycle. A serial entrepreneur, Bob has a passion for helping individuals and organizations build their capacity to outperform. Under his leadership, Acceleration Partners has become a recognized global leader in the affiliate marketing industry, receiving numerous industry and company culture awards, including Glassdoor’s Employees’ Choice Awards (2 years in a row), Ad Age’s Best Place to Work, Entrepreneur’s Top Company Culture (2 years in a row), Inc. Magazine’s Best Place to Work, Great Place to Work & Fortune’s Best Small & Medium Workplaces (3 years in a row) and Boston Globe’s Top Workplaces (2 years in a row).